Ice-capped Callaqui volcano is an elongated basaltic-andesite stratovolcano in central Chile Volcano. It has had a few small explosive eruptions in historic time, and it is known for its intense fumarolic activity. Buenos Aires VAAC reported a pilot observing an ash plume from Callaqui at 3 km (10,000 ft) a.s.l. on 2 January. 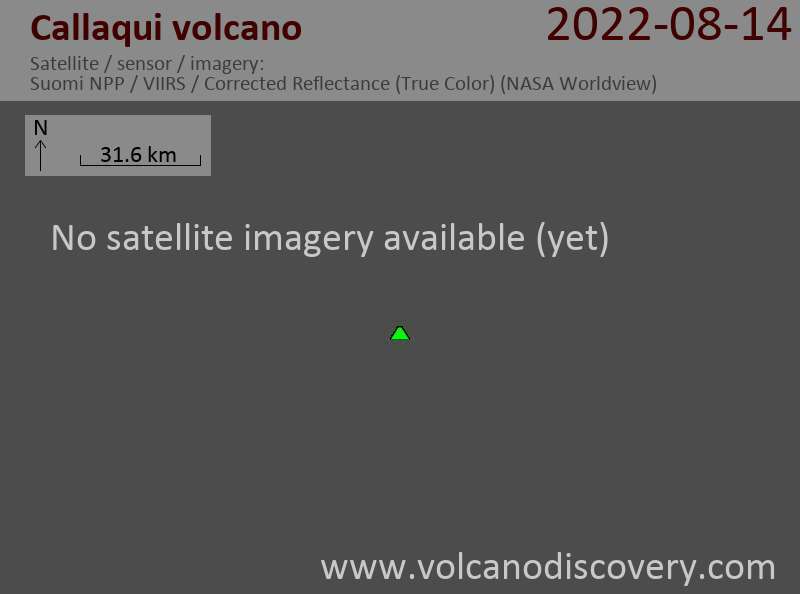 No ash could be detected on satellite images without cloud cover and it is likely that the observation was strong fumarolic activity rather than an actual eruption. Scientists from the Universidad de Concepción will install instruments to monitor Callaqui volcano. Local residents reported feeling earthquakes and hearing constant rumbling noises during the previous few weeks. A new eruption in near future is possible.